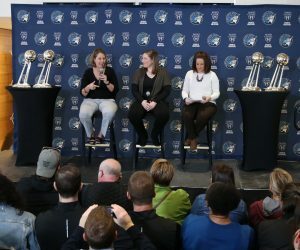 Sunday night’s season series-deciding game between the Minnesota Lynx and the Los Angeles Sparks went the way of the Sparks. Minnesota fell to Los Angeles 78-67 at STAPLES Center in Los Angeles and ended up dropping the season series 2-1. Sylvia Fowles led the way for the Lynx, recording her 18th double-double of the season with 17 points and 14 rebounds. 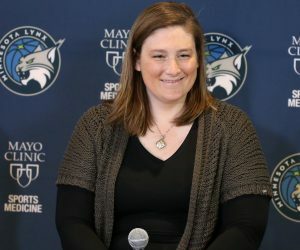 Maya Moore had 10 points, two rebounds and two assists, Seimone Augustus had nine points and six assists, Alexis Jones had nine points and three rebounds, Rebekkah Brunson returned to the starting lineup and had seven points and six rebounds, and Renee Montgomery had seven points and three assists. Candace Parker had 24 points and 10 rebounds and Chelsea Gray had 16 points, six rebounds and five assists to lead the Sparks. Odyssey Sims had 12 points, Nneka Ogwumike had eight points, six rebounds and four assists and Jantel Lavender added eight points and four rebounds off the bench. With the loss, Minnesota falls to 24-7 on the season. 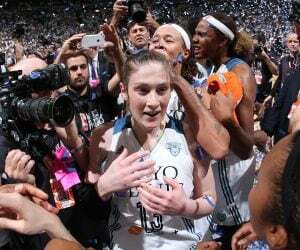 The Lynx now hold a half-game lead over the Sparks, who improve to 24-8 with the win, for the best record in the WNBA. 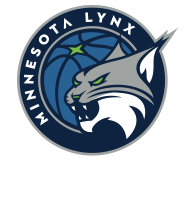 The Lynx finished shooting 49.2 percent from the field in the game, while the Sparks shot 47 percent. Turnovers where a key factor for Minnesota, which committed 18 turnovers in the game. The game was tied twice and there was a total of three lead changes. Sunday’s Lynx Player of the Game goes to Sylvia Fowles. While recording her 18th double-double of the season, the MVP front-runner shot 8-of-13 from the field and wen 1-for-2 from the free throw line in the game. 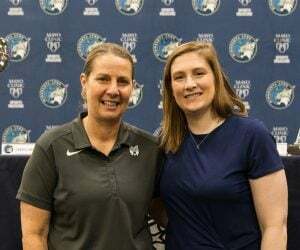 The Lynx wrap up their three-game road trip on Wednesday when they take on the Indiana Fever at 6 p.m. at Bankers Life Fieldhouse. The game will be live streamed on Twitter and aired on 106.1 BOB FM and TuneIn Radio.